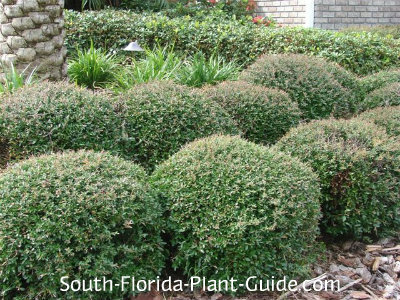 Dwarf yaupon holly - also called Schillings Holly - is the slow-growing, hardy shrub many gardeners love to trim into little balls. These fine-leafed hollies are a huge favorite for South Florida because they're extremely easy-care and provide a distinctly formal look to the landscape. A favorite for foundations and along walkways, "Schillings" grows very slowly and rarely needs trimmed. This plant can actually grow larger than most people realize...to 5 feet or more. But because it takes its sweet time getting there, this popular shrub works for many years as a small, easily-maintained plant. A holly shrub that produces no berries, dwarf yaupon also has no spines on the leaves. It produces tiny, non-showy flowers in spring. Attractive for its gray-green leaves with a hint of red in the new growth, this plant can be left untrimmed to grow into a naturally mounded shape in a more casual setting. This is a slow-growing shrub you can keep about 2 to 2-1/2 feet tall for many years. Once it matures, expect to maintain it at around 3 feet. 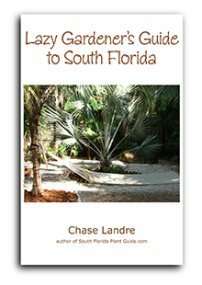 Drought-tolerant once established, this plant is also cold hardy and does well anywhere in South Florida. It's happiest in full to part sun, though it will grow in partial shade. There is a full-size yaupon holly - usually grown as a tree - which is covered on the Holly Trees page under Accent Trees. You'll only need to trim once in a while to keep the plant nicely shaped. Dwarf yaupon has a naturally rounded shape. If you grow it as a manicured hedge, avoid a boxy, straight-up cut on the sides. A rounder shape will let sunlight in to keep the plant full to the bottom, but vertical sides prevent light from getting through resulting in bare stems at the base. Water regularly but give the area enough time to dry out between waterings. Fertilize 3 times a year - spring, summer and fall - with a good granular fertilizer. If you trim these plants often to keep them round, eventually they may start to show bare spots. This is usually caused by over-trimming. The plants eventually grow out of their small, desired size, and the homeowner is cutting them back too much and too often for the health of the plant. Treat with a fungicide, cut out dead areas, and let the plants grow out more in the future - rather than keeping them highly manicured. If they're too far gone, you may have to replace them. 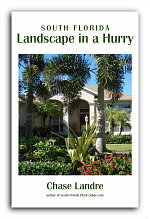 Place these shrubs 2-1/2 to 3 feet apart. Come away from the house 2-1/2 to 3 feet. If you plant a row of dwarf yaupon holly shrubs along a walk, place them 3 feet (or more) in from the pavement's edge. They can spread out wide eventually. These make excellent container shrubs and can be trained as bonsai plants. They're also great plants for a mobile home planter. 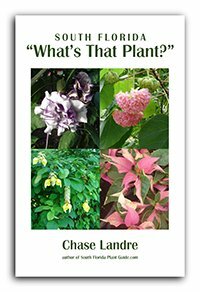 COMPANION PLANT SUGGESTIONS: Knock Out rose, juniper, dwarf oleander, gold mound and dwarf bougainvillea.